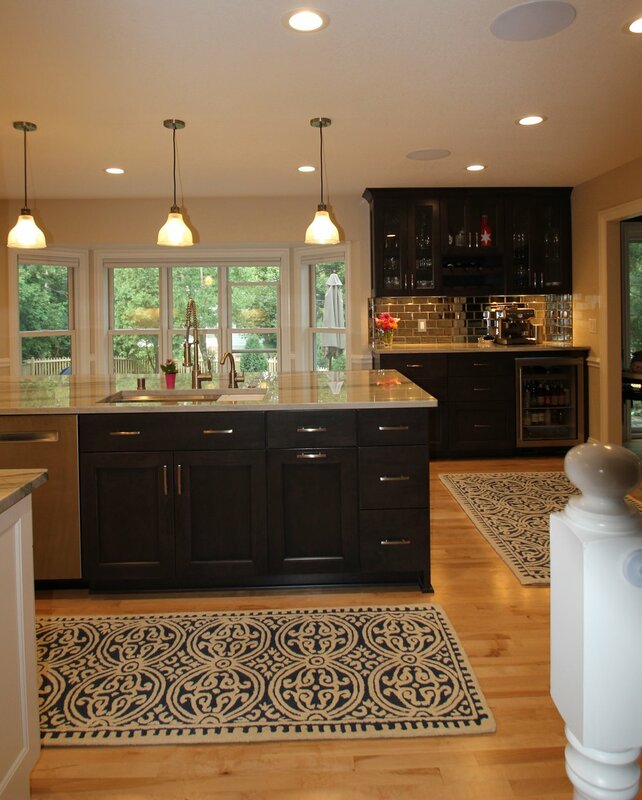 This Elm Grove family hired Rob Miller Homes to remodel a kitchen that was spacious, but impractical and dated. Its best feature was a large window overlooking the back yard. On the plus side, there was a large space to work with. On the challenging side, design options were limited by that window, an open staircase and multiple openings into adjoining rooms. Rob Miller Homes gave them several options to choose from, and they selected a design that is bright and beautiful while maximizing form and function. They were even able to add a walk-in pantry, which was an unexpected happy surprise.